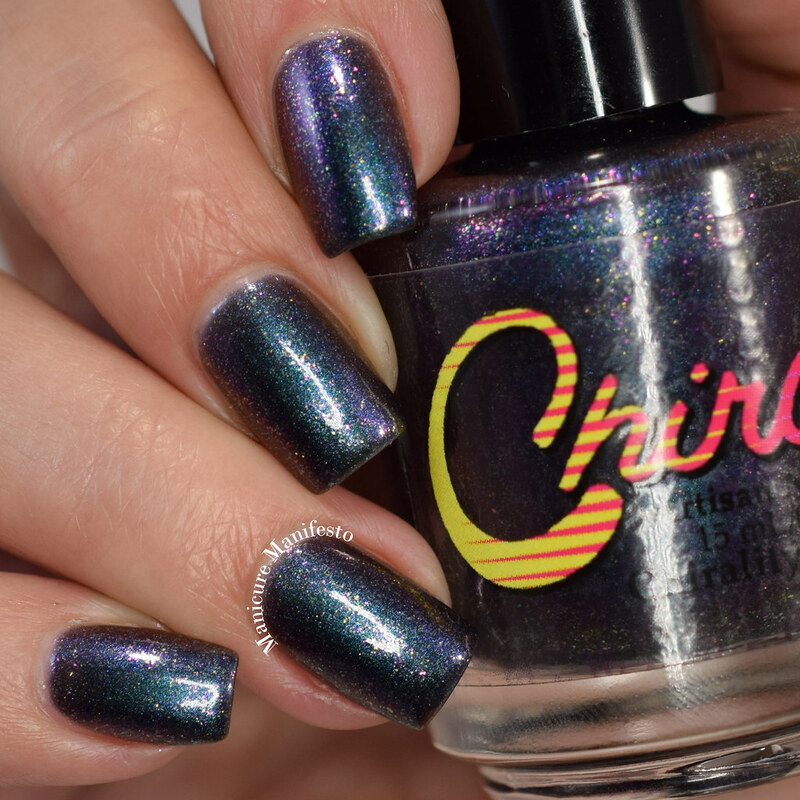 Today I have Chirality Polish's contribution to Polish Pickup's April Planets & Galaxies release to share with you. 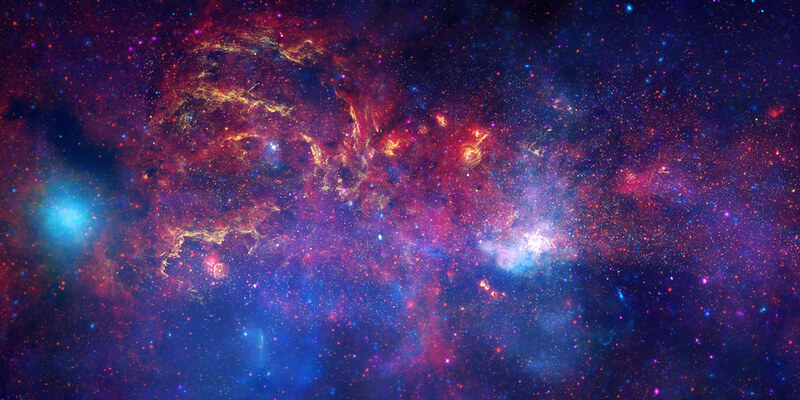 Chirality was inspired by the galactic center of our milky way galaxy. Let's take a look at swatches. 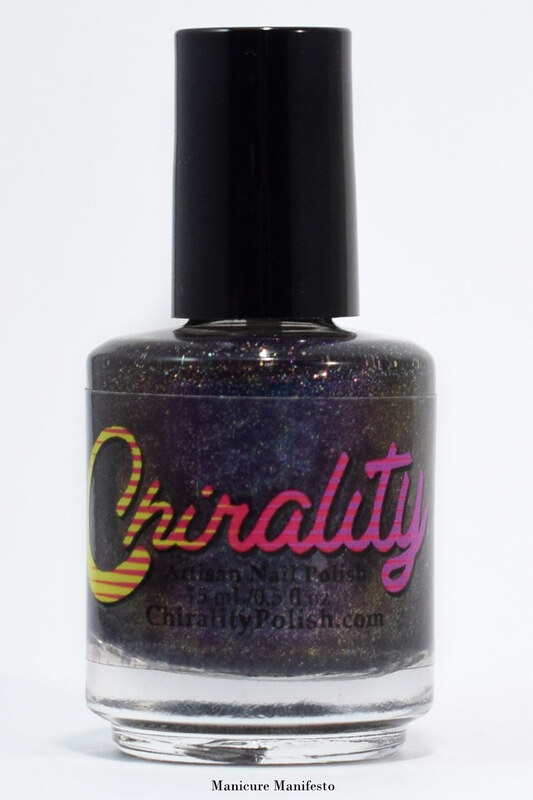 Galactic Core features deep teal to blue to purple shifting multichrome base with gold and purple flecks. in daylight spectrum lighting. The formula was a tad sheer, but built up to full coverage in three thin coats. 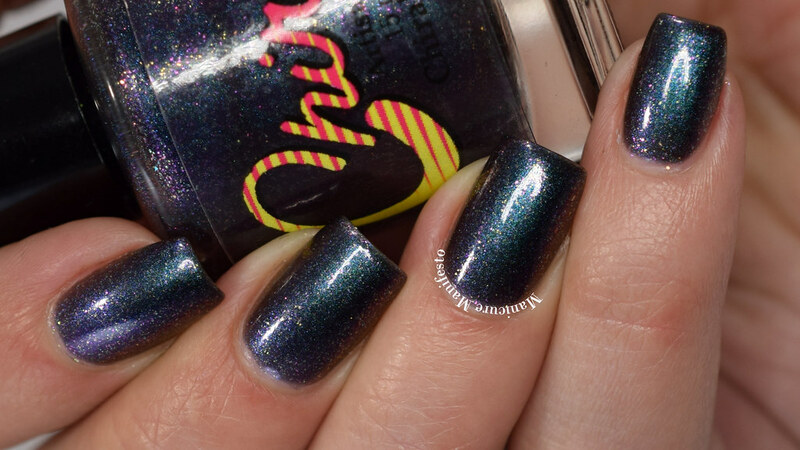 This dries smooth on its own but top coat really bring the shift and flecked shimmer together. 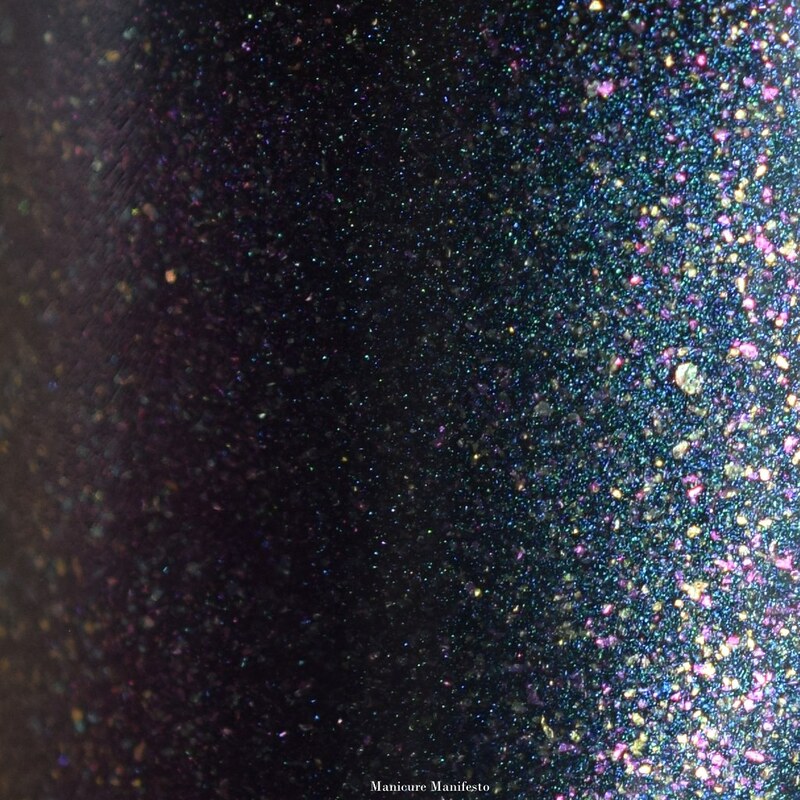 Photos show three coats of Galactic Core with one coat of Live Love Polish Quick Dry Top Coat in daylight spectrum lighting. ... and a couple more in shaded lighting to bring out the blue and purple shifts. 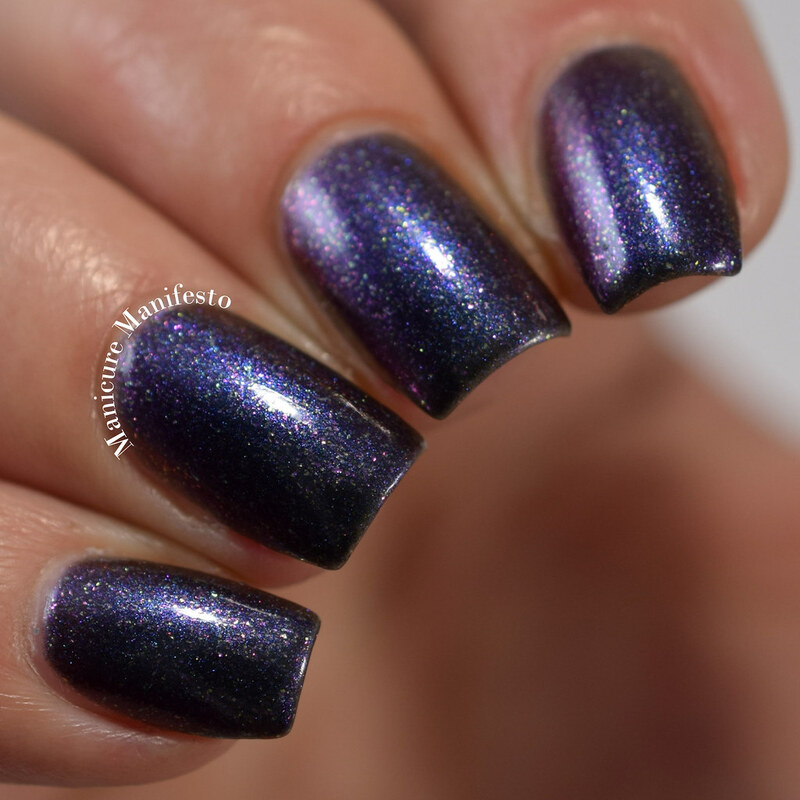 If shifty vampy colours are for you, then this polish is a great option. 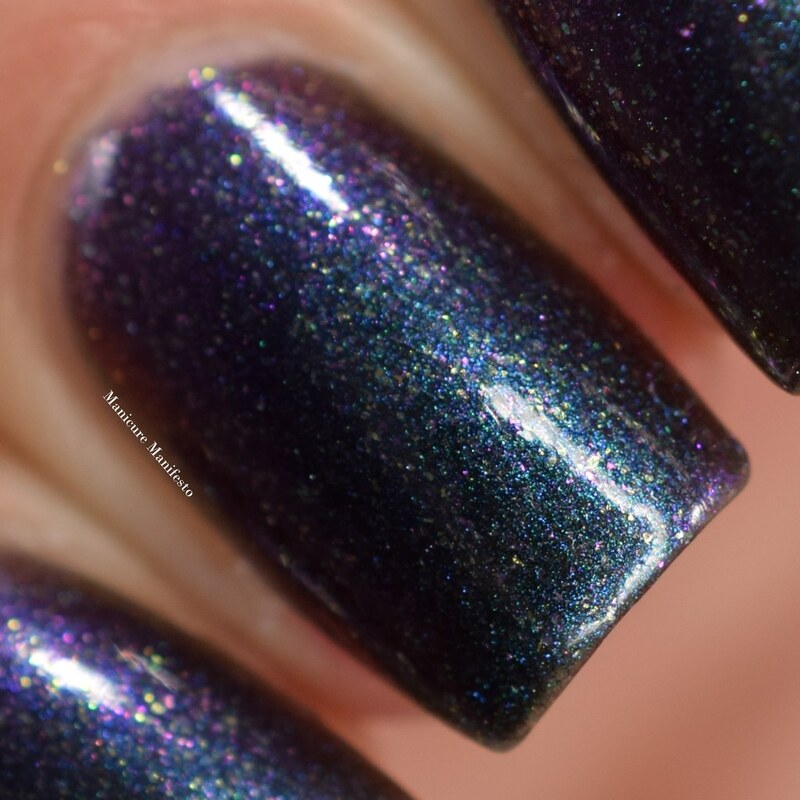 Galactic Core will be available for $11USD on the Polish Pickup website for four days beginning at 11AM EST on April 6th, 2018. There is no cap on this shade so no need to rush.